“Seagate is focused on all things solid state – from engineering to executive management to product management to sales and support,” said Seagate today, launching their all-new lineup of solid-state storage solutions for both consumers and enterprise-level customers. This is the first time Seagate is entering this marketing, “making significant, ongoing investments in flash technology.” New products include the 600, 600 Pro, and 1200, the first one which is the one that’s geared towards the consumer, with the remaining options being for businesses. For more information, check out the press release below. CUPERTINO, Calif. — Seagate Technology plc (NASDAQ:STX), a worldwide leader in storage solutions, today announced its new portfolio of flash-memory solutions. The company took the wraps off its first client solid state drive (SSD) and its next-generation enterprise SSDs. Featuring the Seagate® 600 SSD, Seagate® 600 Pro SSD, and the Seagate® 1200 SSD, the new line of drives are engineered to deliver ultra-fast speed and high data integrity. Rounding out the portfolio, Seagate also announced the new Seagate® X8 Accelerator, a storage class memory PCIe card powered by Virident enabling the company to offer all key interfaces including SATA and SAS solutions. The ultimate laptop upgrade, the Seagate 600 SSD delivers faster boot up speeds, shorter application load times, and improved system responsiveness for the ultimate performance. Laptop users can boot up nearly four times faster and load applications more than two times faster than with a standard hard drive, greatly reducing the amount of wait time to access content1. Fast and as easy to install as a hard disk drive upgrade, the Seagate 600 SSD is available in multiple z-heights including an industry-first, diminutive 5mm-high drive making it ideal for most ultra-thin devices as well as standard laptop systems. The drive features up to 480GB of capacity and comes in a 2.5 form factor. It also incorporates a 6Gb/s SATA interface for fast data transfer rates and easy connection. A low power server and storage solution, the Seagate 600 Pro SSD is ideal for cloud system builders, hyperscale datacenters, cloud service providers, content delivery networks, and virtualized environments. An entry-level enterprise SATA SSD, the 600 Pro SSD combines fast performance and lower power delivering best-in-class performance efficiency and IOPS/watt value. Engineered with efficiency in mind, the 600 Pro SSD features the industry’s highest IOPS/watt to improve system performance while reducing power and cooling costs for transaction-hungry datacenters and cloud enterprise applications. Utilizing 2.8 watts typical operating power, the drive reduces energy by automatically adjusting the power consumption to workload I/O levels— using less power for lighter workloads. The drive is also equipped with the intelligence to deliver high-data integrity, safeguarding against unexpected power loss and undetected corruption when a device is powered off. The Seagate 600 Pro SSD is available with up to 480GB capacity and comes in 2.5-inch form factor. 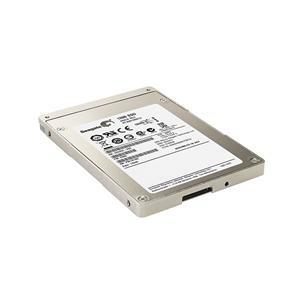 It is equipped with a 6Gb/s SATA interface for fast data transfer rates and easy connection to existing SATA infrastructure. Designed for demanding enterprise storage and server applications with complex, write-intensive mixed workloads, such as high-performance computing and data analytics, the Seagate 1200 SSD delivers the ultimate in speed, consistent performance and the highest levels of data integrity. Built to deliver ultra-fast data access, the drive uses algorithms that optimize performance for frequently accessed data by prioritizing which storage operations, reads or writes, occur first and optimizing where it is stored. The result is improved performance to help close the gap between processor and data access. It incorporates a dual port 12Gb/s SAS connector providing 100 percent faster interface speed, over previous generations, for twice the I/O bandwidth while ensuring the highest level of reliability, availability and scalability. The drive is also backwards compatible with 6Gb/s SAS environments. The 1200 SSD leverages Seagate’s existing enterprise expertise and manufacturing excellence to deliver high levels of data integrity, manageability, testing and support. It also safeguards data against unexpected power loss and protects data from undetected, unintentional corruption. 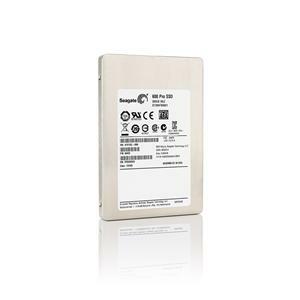 The Seagate 1200 SSD is available with up to 800GB capacity and comes in either a 1.8-inch or 2.5 inch form factor. The Seagate X8 Accelerator, powered by Virident, delivers memory-class performance and storage-class capacity with enterprise reliability and data integrity in a single, low profile PCIe card. Providing industry-leading performance, with up to 1.1 million IOPS, the X8 Accelerator boosts server performance with ultra-fast speed that is up to 2X faster than the closest competitor and closer to DRAM performance than storage. Boasting high storage capacity (up to 2.2TB) in a small footprint (HHHL half height half length) the X8 Accelerator fits in any server. The card’s x8 PCI Express Gen-2 interface enables it to deliver maximum application performance in database and virtualization applications such as Microsoft© SQL Server, Oracle Enterprise Server, MySQL, and VMware. 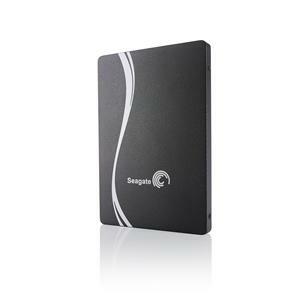 For more information on Seagate’s entire portfolio of flash memory products visit http://seagate.com/www/ssd/.